Darrell Davis points out how many conversations that Jesus had. As evangelists, we need to make sure that we are regularly engaging people outside of the church. Most of us freely admit that after being a Christian for a few years, we find our social circles have changed to mostly Christians. In fact, Jeffrey Johnson Got Style? 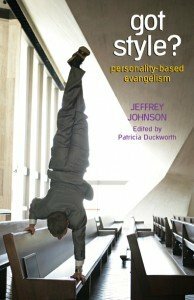 : Personality-Based Evangelism shows research that confirms that most do so within two years of becoming a Christian (p. 76). He cites a 1998 study by Charles Arn that shows that most Christians may only have on average, friendships with less than 4 people outside the church. What can we do to fix that this week? Does that make me a Christian?